A tilley hat shall meet your head again, soon. Whether your head remains exposed to the sun when you walk or lie lazily on a beach or when you slash your way through an exciting jungle trip, you do need adequate UV protection from the sun. This sturdy and stylish hat can protect your head as well as the delicate skin on your face and neck from strong UV rays that could cause skin discoloration or worse, Skin Cancer. Most of the hats offered by Tilley not only look chic but are also extremely comfortable at the same time. 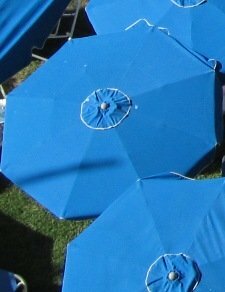 The brim of the hat is also available in various sizes so as to get additional protection from the sun's rays if you so desire. Most of these hats are made from breathable material such as their registered Tilley Nylamtium, which is resistant to both water and mildew, and also offers excellent ventilation to keep your head cool in hot conditions. Whether you love to take a walk in the park or sit comfortably on the beach, your tilley hat will ensure that the sun or its rays do not interfere with your work or pleasure. The fabrics used in your hat from tilley are certified to possess an Ultraviolet Protection Factor or UPF rating of 50+, which translates to around 98% of the harmful UVA and UVB rays getting stopped before it reaches your head, face or neck, depending on the model that you have chosen. You can choose from organic, waxed or plain cotton, hemp, raffia, nylon, or wool felt hats depending on the weather conditions when you plan to wear them. These hats are also hand-sewn to perfection and will last for life, which again is fortified with a life-time guarantee for almost all types of hats from the company. In addition, these hats are insured up to around half the original value so if any ape in the city or jungle snatches it away from you then you can still save money when you replace it with a brand new tilley hat. Tilley hats are just what the doctor ordered! You can browse through a wide variety of designs and colors in wide brim and floppy hats when you visit an online store that stocks such hats. 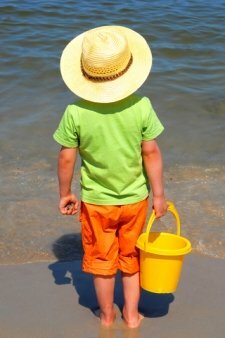 You can opt for waterproof and breathable nylon hats if you plan to go near the water, and the best part is that these hats also float on water in case you end up struggling with a large fish and then end up dropping your hat in the water. If you are a first time tilley buyer then you should make sure to go through the 4 page owner's manual that accompanies each hat. These hats will not shrink upon washing and are sure to impress anyone that lays their eyes on such wearable works of fabric art. You doctor too will approve your choice since this hat is designed to protect your head in many ways in addition to offering the best in UV protection. If you simply want the best in hats then you should not look further than tilley. This Canadian company has been offering excellent quality hats in various eye-pleasing shapes, designs, colors and sizes that will truly help you walk, fish, trek, hike, or simply relax on the beach or by the pool in safety, comfort, and style. So, make sure that you get a best friend for your head in the form of a matching tilley hat so as to not only remain safe from the sun but also to prove that you can perform each outdoor task in style.